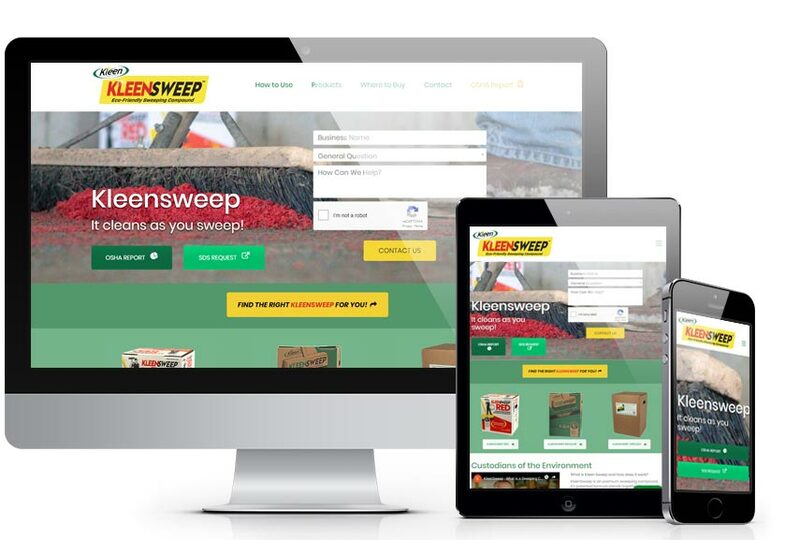 The Kleensweep website allows it’s customers to quickly connect with them and get the information they are looking for. An easy to use form sorts businesses into different marketing lists, allowing Kleensweep to easily connect with customers based on their unique needs. Video is a great way to quickly communicate with Kleensweeps customers so we created two videos that show their full product line and how to use their product. Creating a YouTube channel for Kleensweep and embedding these videos into the website allows them to easily embed and share videos with their clients on their website and on social media.